Remove a child where there is no substantiation of abuse. 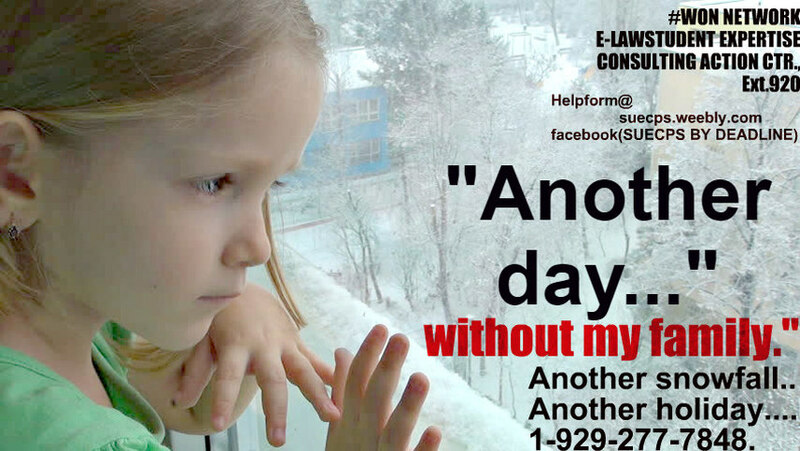 Remove a child and keep such child from EVER returning home, where there is no substantiation of serious neglect. Such statutory is not in any way unclear. If a child is "examined" and the social worker(casework notes memorialized her and the agency findings) ie. DYFS has no "legal basis/legal authority" to keep this child. DYFS cannot prove/substantiate abuse to child and or neglect. >Not keep a child that was perfectly healthy/happy/alert and not at risk of harm rising to the level required to keep one's child. >Not alter and or withold such evidence to make it "appear" fictiously that abuse did occur or neglect. >To disclose all relevant truthful information detailing such event clearing parent and allowing the child to go home without a delay ... Sadly... as the winning suit involving owner/founder's daughters, this (the aforesaid)factually occurred and has now permanently scar their lives forever. a state employee has done her job, "within the scope of his or her employment. a state worker only did what was "expected by the law." ​ New Jersey Civil Rights Act, punitive damages are awarded in such cases, various for many years, when one's constitutional rights have been violated. Such conspired-act claim(conspiracy)shall not be dismissed when you're able to(based on a preponderance)to clearly establish a case of conspiracy amongst employees of the state were working against you, keeping things from a judge deliberate/and or are able to prove that #CHILDPROTECTIONSERVICES social workers (their employees) assigned to such case, that their conduct was sufficiently egregious and as a result, you as the child was indeed, harmed." Whether in NJ, DE., tri-state, to Texas, California, nationwide DCFS,DFPS for far too long has avoided such liability. E-HELP form online, click here. Not 1, but multiple employees swore the child was just "fine" while residing under state supervision and care of DCF(Dept. Children and Families, and how there was "absolutely no risk at all to the child." ​To be awarded additional damages known as PUNITIVE, you have to allege such conduct,(and able to prove) acts, and one's conduct by a state employee that could be, by a jury, considered as wanton,willful, and OR reckless disregard for a person's welfare. Such reckless disregard, can be proven to a jury in the founder's family civil rights lawsuit, i.e., 1. )caseworker and or caseworker's(plural) knew about the damage taken place, found in discovery(never seen) not until such Federal Court Discovery confirmed such that not one, but several of the dyfs(dcf/dcp&p) employees knew the child was repeatedly at serious risk, have known the child was being assaulted at each turn, severely suicidal, attacked, harmed, suffering under state supervision of DCF for such a long time, but yet, showed reckless disregard by not adhering to the law to simply return child to the mother, by working with mom through reunification. Reunification is required everyone, and this is not in any way unclear, in the founder's home state. nor the abusive step-mom, as this would have been damning for the state agency employees assigned,and would have proven even more so, the removal of the children should not have happened. ​Any person who has been deprived of any substantive due process or equal protection rights, privileges or immunities secured by the Constitution or laws of the United States, or any substantive rights, privileges or immunities secured by the Constitution or laws shall be liable, whose exercise or enjoyment of those substantive rights, privileges or immunities has been interfered with or attempted to be interfered with, by threats, intimidation or coercion by a person acting under color of law, may bring a civil action for damages and for injunctive or other appropriate relief. The New Jersey Civil Rights Act was modeled after 42 U.S.C. §1983 and has been interpreted analogously to that Section. In order to establish a claim under 42 U.S.C. §1983, [the] plaintiff must satisfy a two-prong standard: first, that he was deprived of a right secured by the Constitution or laws. Remember, our many supporters and readers: #LEARNING is true freedom and such #KnowledgeisPOWER and our founder,boss the owner Ms.Melendez is proof of such." When you're seeking punitive$damages against a state employee, in this instance, a cps employee, you're to learn as much as feasible when properly(key word here is "properly" framing the issue(s)per cause of action against such cps, dcf,dhs,dss employee, when suing for additional damages consistent with such, as others have won when seeking additional(punitive)damages where the state employee,CPS acts were capricious,arbitrary and downright unlawful, causing you such harm, and or your child,grandchild, your loving innocent family."